Keith says he is, "not your ordinary minister", that is to be sure! Keith moved to Maui from the East Coast (Bronx). Keith is fun, smart and spiritual and will keep you laughing and smiling on your wedding day. Reverend Keith is Christian based but open to many schools of thought; Jesus to Buddha, Lao Tzu to Stephen Hawking. He is a spiritual realist with a Punk Rock past; non-traditional, non-conformist, non-discriminatory, as well as a poet and sound artist. Keith will write meaningful vows just for you or you can provide your own vows. Pia Aluli was born and raised on the island of Oahu. In 1968 he moved to Maui from Oahu to enjoy the country lifestyle, surf and canoe paddle. He has spent most of his life performing Hawaiian music for hotels, restaurants, conventions and weddings. 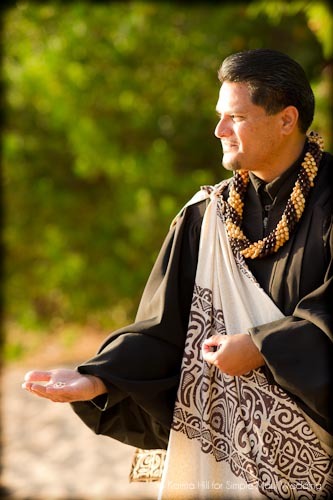 He has also toured extensively in Canada and the mainland sharing his culture and Hawaiian music. 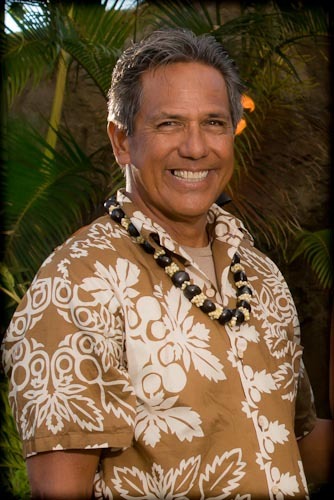 In 1998 Pia decided to redirect his life and become a Maui minister, something he had an interest and desire to do for a long time. The excitement that Pia feels from each couple is contagious. He is honored and blessed to be a part of the ceremony. Born and raised on the beautiful island of Maui, Rev. Valentine (Tino) Rosete truly represents the spirit of Aloha. Tino, having been ordained through New Passion Ministries and having been a dedicated family man for many years, has built his life upon a foundation of love and devotion that is matched only by his commitment to providing the most heart-felt wedding ceremonies. Tino approaches every interaction with the individual attention and respect that it deserves. And though he’s married hundreds of happy couples with his Hawaiian Non-Denominational Christian ceremonies, he continues to treat every new ceremony as a new chance to pour his sincerity and passion into every word he speaks. Tino feels truly blessed to do what he does, and he derives no greater pleasure than in the sharing of his faith and his Aloha spirit. Thank you Keith, Tino and Pia. Our brides love you and we are soo happy to be working with such wonderful people. 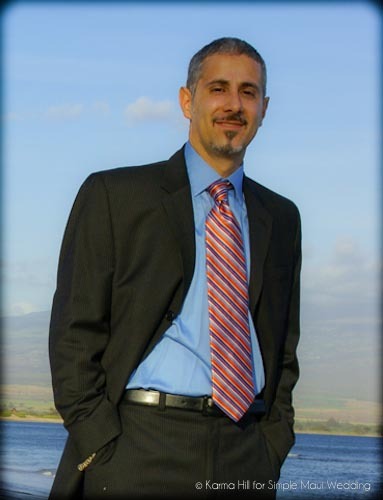 If you are interested in one of our Maui ministers for your Maui wedding package please visit us at http://www.simplemauiwedding.net or click on one of the links under their picture and it will take you to their profile on our site.